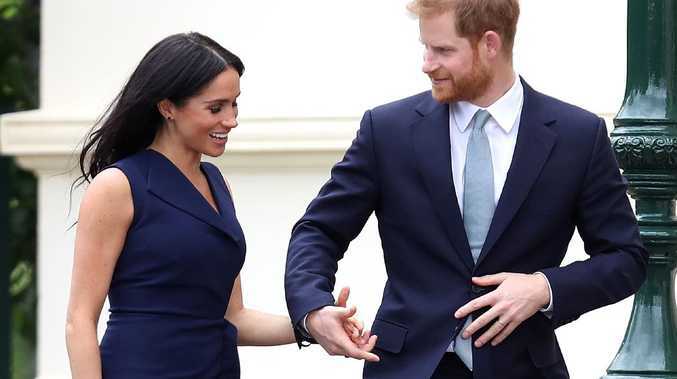 Meghan is wearing a dress that us regular folk can’t buy yet. A 12-year-old boy named Charlie Wolf asked the question the world wants to know the answer to while Meghan and Harry travelled on a Melbourne tram. 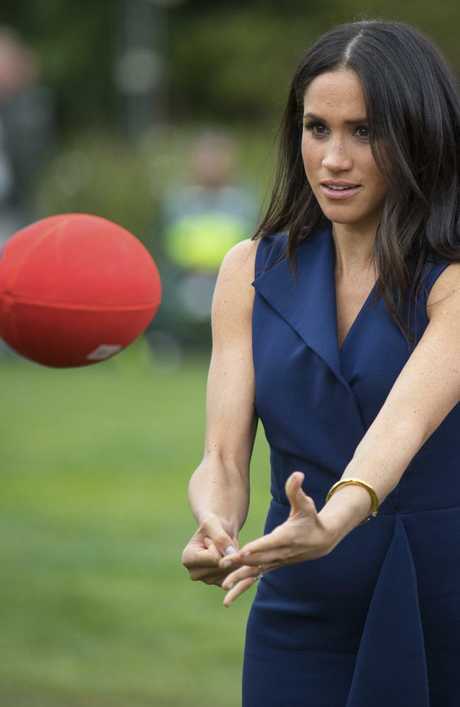 Earlier in the day, Meghan wowed onlookers after she deftly handballed a Sherrin like a professional. The couple is set to return to Sydney for the Invictus Games, a competition for wounded veterans started by Prince Harry.